Given the terrors of the time we live in, it should not surprise us that according to the World Health Organization anxiety disorders and depression are the fastest growing mental health problems in the world. In spite of this unfortunate trend there have been few resources available to the support persons of those afflicted with anxiety disorders. 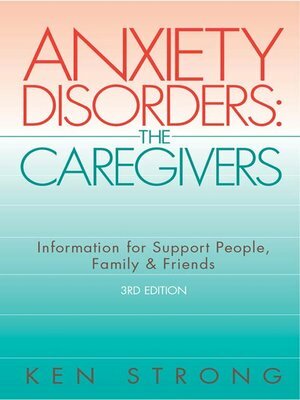 Everyone dealing with these difficult disorders should welcome the expanded third edition of this book, which is specifically designed to help the caregivers of anxiety neurotics. The book begins with clear and detailed explanations of the causes, symptoms and treatments currently available for generalized anxiety disorder, panic attacks, agoraphobia, depression etc. It then offers hundreds of suggestions, many based on personal experiences, to help those caring for anxious people. The book focuses on ideas to help support persons to maintain a well-balanced perspective in order to avoid being overwhelmed by their difficult situations. The end of the book provides excellent descriptions of organizations and Internet sites for those seeking information on help for those with anxiety disorders.